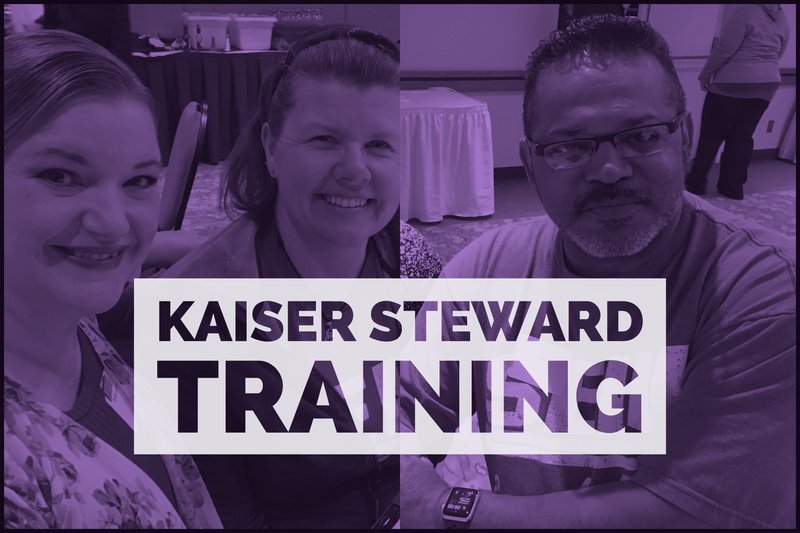 To register for a Kaiser Steward Training, contact Nora at noraj@seiu49.org or call 503-236-4949. Kaiser employees, because the steward training is paid time by the employer, please get permission from your supervisor prior to attending (even if it is on your day off). If you fail to get prior approval the employer may decline paying you for the time spent in the steward training, we would not have recourse to the grievance process if you failed to get prior approval. This agreement was reached in a mediation with the employer.